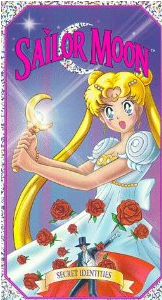 In the mid to late 90s, Sailor Moon really took off in North America, spawning hundreds, if not thousands, of related dolls, cosplay items, and playsets. Some of these items were really bizarre, but when you’re a 12 year-old obsessed with anime, it didn’t matter – you were buying all of that crap no matter what it was. Here are just seven of the strangest pieces of Sailor Moon merchandise released in North America. Available in 6” and 11.5” variations, Queen Beryl was the only villain doll to be released in the original North American line of dolls. 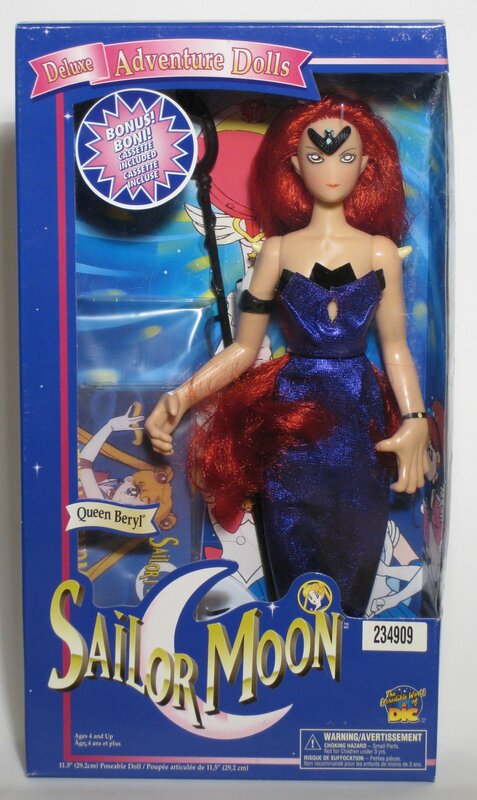 As a whole, efforts to produce the early dolls were pathetic at best, but being 12 year-old anime-obsessed girls, my friends and I snatched up any Sailor Moon merchandise we could get our hands on. I even kept all of mine complete in their boxes. While the other dolls in this line were far from memorable, Queen Beryl was notable for her graceful, yet disturbingly arthritic hands. Sailor Moon’s cat tells her to be careful. More solid advice from house pets. 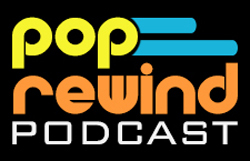 Not something shown on the show, but a great way to capitalize on the show’s success. With the press of a button, different Sailor Moon characters appear in the mirror and yell at you. For example, Tuxedo Mask inexplicably warns you, “If you look sad, the rose will die.” How helpful. I rocked out to this well into my university years. Stop judging me! Most of the songs included on this album weren’t part of the TV series in that they appeared on the show (save for the theme and part of “She’s Got the Power”), but they were part of the released merchandise, so I’ll let it slide. During the original release of the shows in Japan, and for the subsequent movies, soundtracks were released, so why not jump on that with such hits as “I Wanna Be A Star” and “Rainy Day Man.” The songs were unbearably cheesy and feel-goody, but that was the point. Stupid DVDs, why did you catch on? I have 5,000 worthless VHS tapes now! Before God invented DVD and Blu-Ray series/season collection sets, if you wanted your favorite series, you’d better get a wagon to truck around 30 VHS tapes per season. Although the tapes were released in 1997, I still wasn’t convinced that this DVD thing would catch on. I bought all the North American VHS tapes I could find, even though they only had two episodes per tape. Nevermind that I already had hundreds of hours of Sailor Moon footage on tape from recording it while I was at school—I wanted the official releases. The boxes were pink with holographic trim. And the box art—a masterpiece! Overly Disney-ified cel-shaded characters who are also slightly misshapen provide an air of distinction to any VHS collection. A Canadian exclusive! 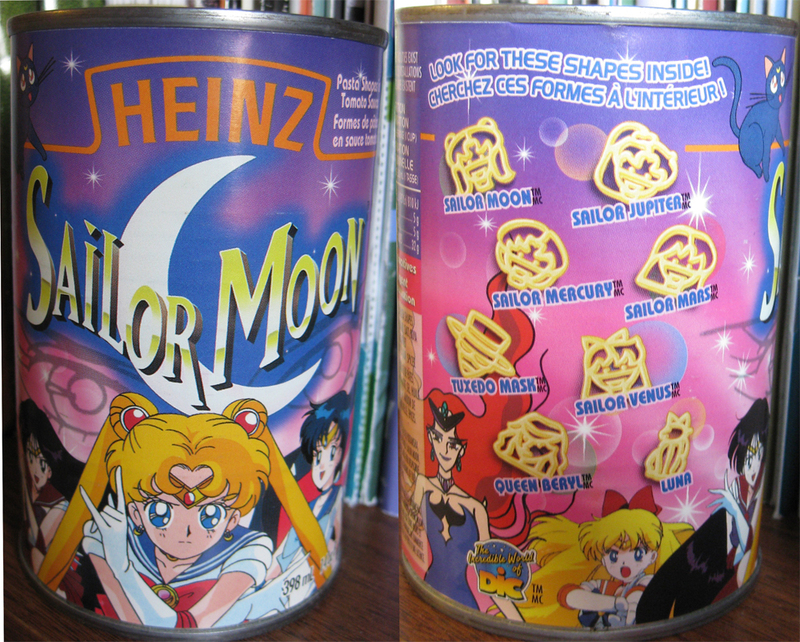 Like the majority of Sailor Moon merchandise, this pasta also came out in the late 90s. I bought a can and still have it. I moved and it came with me. By the time I bought it, I had outgrown my tastes for canned pasta and I had that complex where I wouldn’t open my Sailor Moon merchandise. The label was eye-catching—pink and purple of course, showcasing the Sailor Scout faces finally in pasta form. 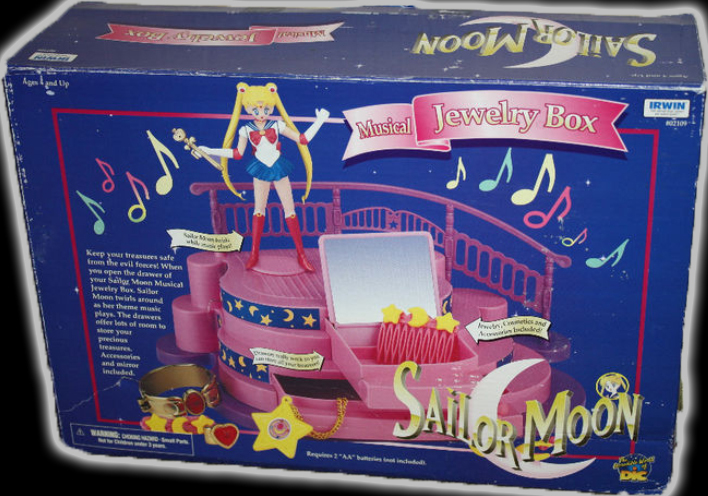 Instead of the standard twirling ballerina music boxes, this lovely hunk of pink plastic features Sailor Moon spinning to her own theme music whenever the drawer opened. This isn’t just a jewelry box, it also came with a whole slew of tacky plastic jewelry. This jewelry box does boast that it will “keep your treasures safe from the evil forces!” Because I’m sure Queen Beryl was all about pink plastic hair combs. Sailor Moon: successfully hiding from evil forces since… never. Batman had the Batmobile, the Ghostbusters had Ecto-1, and even Jem and the Holograms had the Rockin’ Roadster. If Sailor Moon was going to keep up, she needed some wheels. 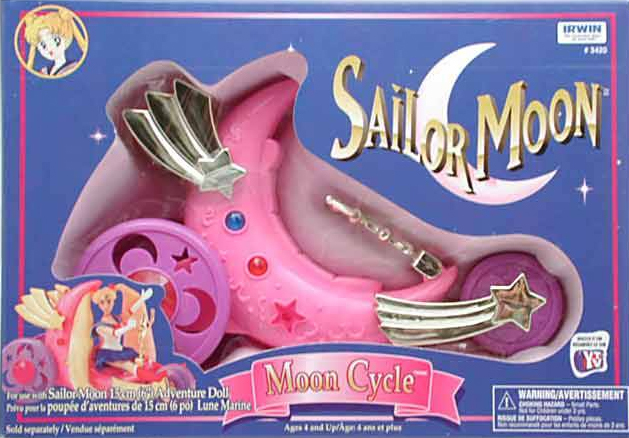 While not ever appearing on the show and existing only to extort money from little girls (note: it worked), Bandai released the Sailor Moon Cycle—a blinged out pink crescent-moon shaped motorcycle thing. Way to remain inconspicuous while on your way to fight evil. 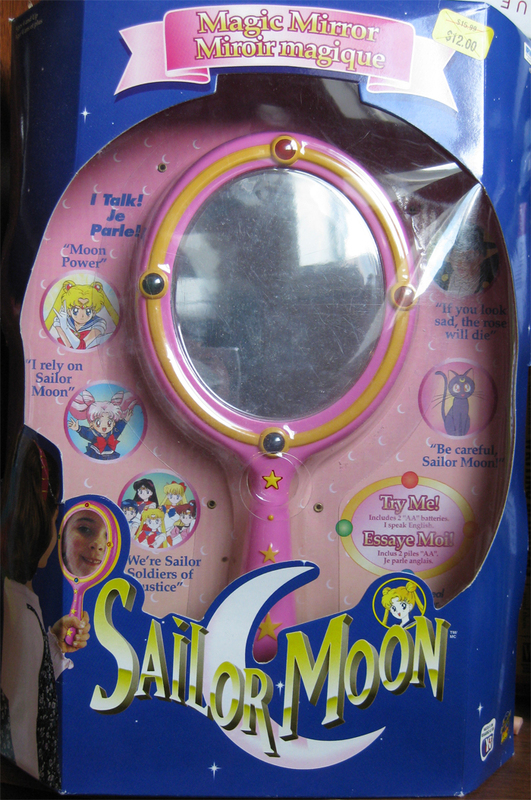 Did we purposely not include your (least) favorite piece of Sailor Moon merchandise? Leave a comment complaining about it below! I’m not trying to rain on your parade and I appreciate what you’re doing here. Your site’s pretty cool. 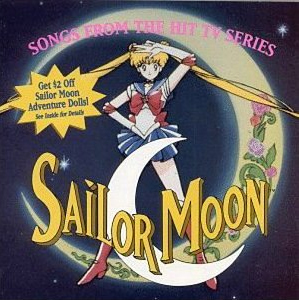 But all of the tracks were on the Us version of Sailor Moon. Some just played in the background. “I Wanna Be a Star” played in the background during some celebrity episode. I believe someone else was singing it. “My Only Love” was in the later episodes of season 1. I think when Serena transformed into the the princess. I think when the Negaverse realized she was the princess. “Oh Starry Night” was sung by Raye in a talent show. “It’s a New Day” was in the background after they been the Queen and lost their memories. “Carry On” was the theme in the Beryl battle. “Rain Day Man,” was played when Lita thought about her 1st love. “Only a Memory Away” was on the episode when Ami was going to leave. “She’s Got the Power” actually came later in the series(which is odd). It played when the scouts fought those…sisters and Rubious(?). But if you just mean the original Japanese version, my apologies. 🙂 Now what didn’t make sense to me was Luna Rock. That threw me off. Thanks Em! I clearly blocked those instances from my memory! And oh boy, Luna Rock, that album was bizarre! Yes! I remember when all that stuff was in the discount bin, too! If only I would have thought of stocking up back then! My sister and I have a theory about the sailor moon cycle we came a cross an American live action sailor moon promo on YouTube and she had a cycle. So glad they stuck to the original anime.